New music always goes down well and this episode serves up just that from the likes of La Crosse soul/rock duo Moth Mountain, oddball multi-instrumentalist Kasey McKee’s Circular Mercury project, and the sibling-fronted Guilt Ridden Pop act Brilliant Beast. Also in this episode: live music from Madison’s The People Brothers band, as well as choice back-catalog cuts from klezmer act Maritza, bluesman Joe Price, and slow-core Duluthians Low. Congrats again to Brilliant Beast on documenting their “inspired evolution” on the aforementioned Guilt Ridden Pop label. 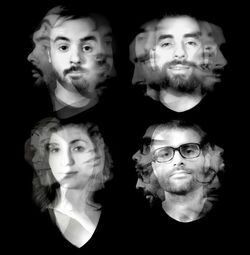 I used to play bass in the Beast back in their folk-rock incarnation and am blown away by this new “distorted aesthetic.” For more on their new sound, album, and leather jacket aspirations, check out THIS PIECE in City Pages.